Our property management team has decades of experience in providing long-term asset enrichment and property management for buildings located in the cities of Southfield, Troy, Novi, Pontiac, Livonia, Auburn Hills, Bloomfield Hills and Detroit, Michigan. Etkin's well-deserved reputation as a preferred provider of real estate property management services is built on our commitment to operate our clients' buildings as if they were our own. 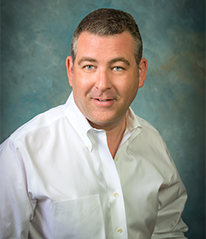 Curtis Burstein is the Chief Executive Officer of Etkin, a full-service real estate organization engaged in the development, acquisition, management and marketing of office, industrial, retail, hotel and mixed-use properties. Formed in 1982, the company is also actively involved in fee-based property management and development services on behalf of third party owners. To date, Etkin has developed more than 60 high-profile properties consisting of over 9.5 million square feet of commercial space. As one of the leading build-to-suit developers in the Midwest, Etkin is often singled-out by major corporations and professional firms to develop and manage their facilities. 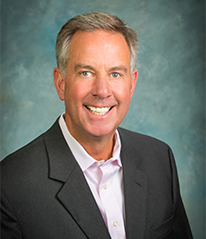 Curtis has spearheaded Etkin’s acquisition of several affiliate companies that provide complementary commercial real estate services including Responsive Mechanical Services (RMS) and Prime Staffing Solutions and Paragon. Curtis is a graduate of Western Michigan University with degrees in economics and finance. Prior to joining Etkin, he served as a real estate loan officer and corporate finance officer for a major regional bank. As Etkin’s president, he draws on nearly 25 years of experience to lead the company’s day-to-day operations. Over the years he has overseen Etkin’s hotel development activities, strategic planning, project financing and property management. Curtis devotes time to a variety of community and charitable projects, including the Robert A. Schuele Scholarship Fund, Judson Center and church activities. Curtis has spent the majority of his life in southeast Michigan. He is married and has a son. 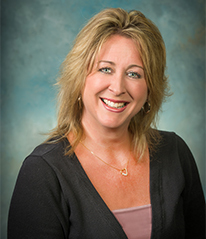 Pam Oliverio is the Property Management Operations Manager for Etkin, and has been with the company for over 25 years. In this capacity, Pam analyzes operating expense information to identify portfolio-wide savings for the financial benefit of the company's assets. An additional role is supporting all on-site management personnel, coordinating the work efforts among the various Property Managers and the President of the company. Pam is responsible for service contract negotiations, ensuring consistency and continuity in pricing and quality. Maintaining the company’s insurance package and overseeing the tenant insurance certificate process is also part of her day-to-day responsibilities. Pam is a member of BOMA, beginning her membership over 5 years ago. Born in Michigan, Pam has lived her entire life here; she is married, and has two sons. Matthew Fenster is Etkin’s Leasing and Business Development Manager. Matt oversees leasing for Etkin’s third party management portfolio along with his responsibilities in procuring new management and leasing assignments as well as identifying potential development opportunities. Matt has worked with major corporate and institutional clients including Crittenton Hospital, Talmer Bank & Trust, Great Lakes REIT, AT&T, MGIC, Dayco Products/Mark IV LLC, and Cengage Learning. Matt has been responsible for the acquisition, development, financing, leasing, and management of over 3 million square feet of office, industrial, and retail space though out the Midwest. 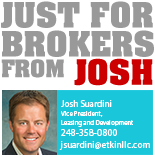 A lifelong Michigan resident, he holds a Bachelors of Arts in Real Estate & Finance from Eastern Michigan University, as well as professional designations from CoreNet and the Commercial Real Estate Institute.